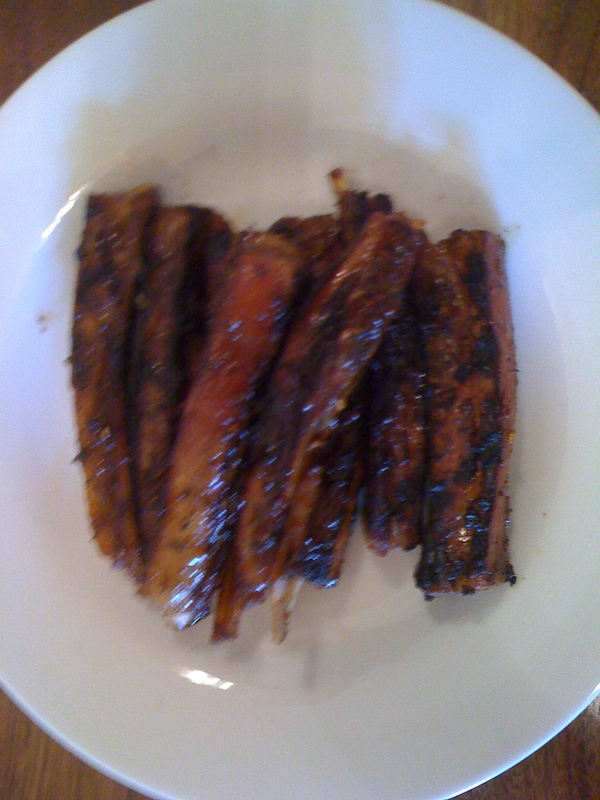 I haven’t cooked lamb ribs in months (–actually, now that I think about it, not since I wrote about my wonderful Lefever Holbrook Farm ribs on January 16). So Mark Bittman’s recipe for glazed lamb ribs in the New York Times Magazine last week caught my eye. A little complicated!–Not hard, but lots of steps. He’s playing with deep layering of flavors and textures. But for me, the flavor of lamb is deep enough! I often add nothing to it at all (or at most a little garlic and rosemary). Why would you do all that to succulent little lamb ribs? Why indeed?–I decided to find out. Some time toward the end of last week I pulled my last package of Lafever Holbrook lamb riblets out of the freezer to defrost. But the recipe sat on my kitchen counter until, about to walk past it one more time yesterday afternoon, I found myself pulling out spice jars–time to do it! As a beginner, I have to apply a kind of kitchen hermeneutics to any new recipe. He asks for “2 racks lamb ribs;” does my package of riblets qualify as a “rack?” How much does a “rack” weigh?–My package is a little over a pound; do I halve the recipe? 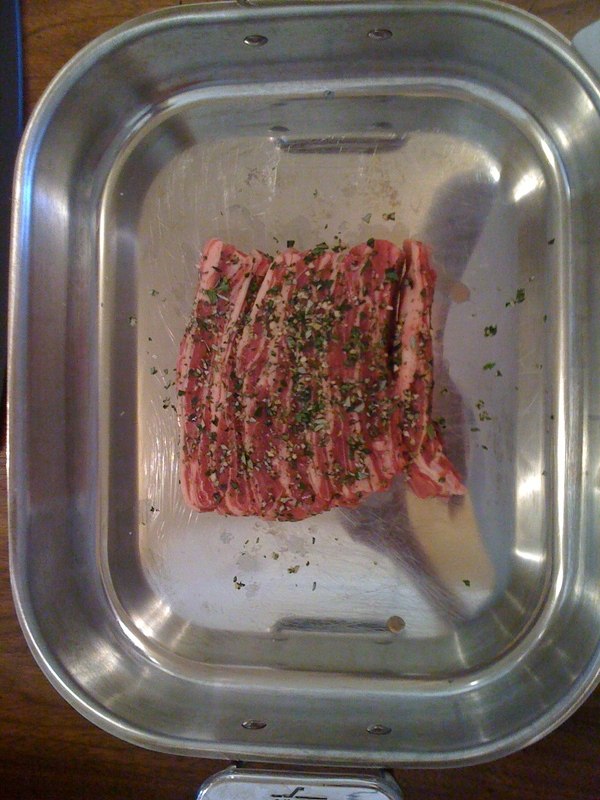 My ribs are already cut apart; will that fatally undermine the cooking process he recommends? With a complicated recipe like this one, I can see that cooking it is going to be one long interpretive act. Well, let’s get on with it. 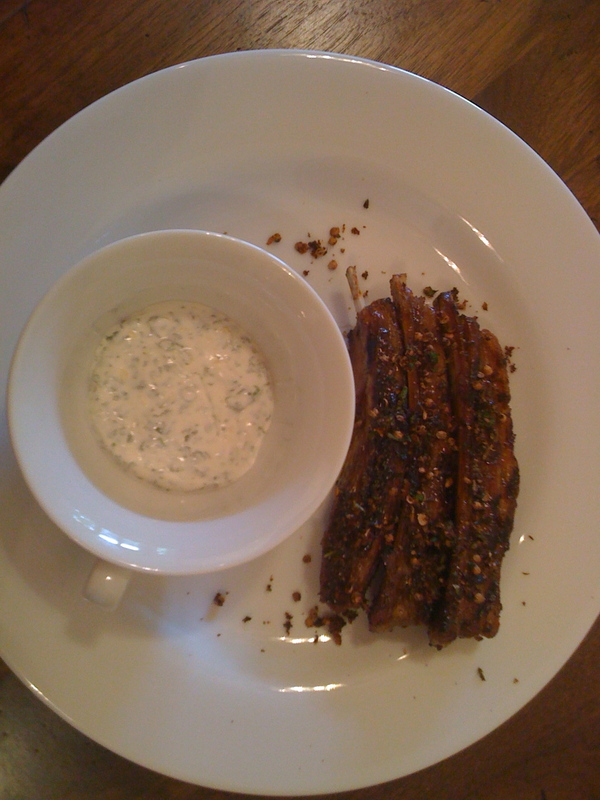 Essentially, we are making lamb ribs with yogurt sauce. But oh those ribs! 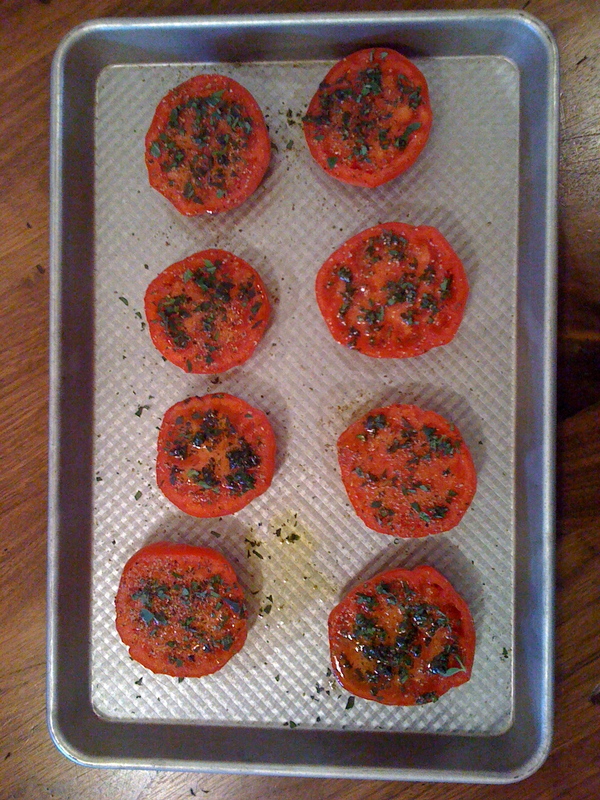 First they will be rubbed with herbs and roasted, then they will be glazed and grilled, and then they will be dusted with a crunchy sprinkle. 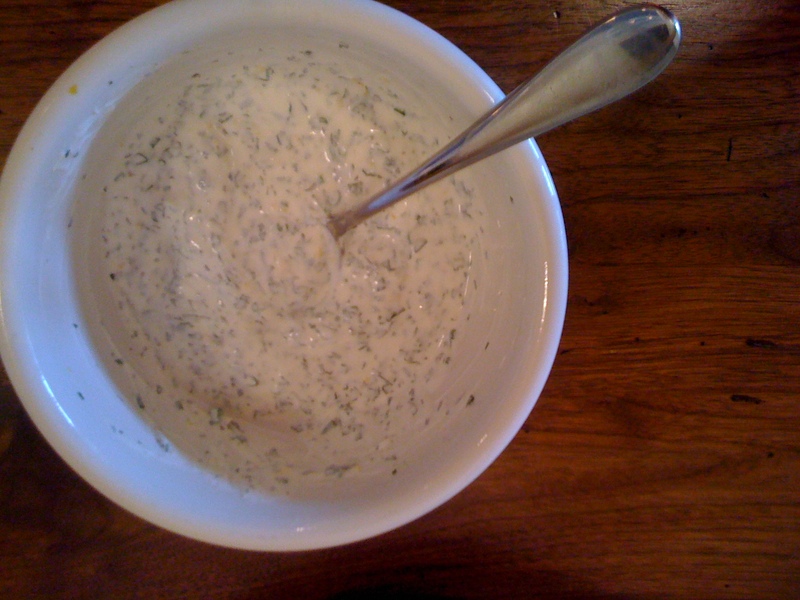 Finally they will be paired with a yogurt sauce (like tzatziki, but with mint and chives instead of cucumber). Here’s how it goes. I used the full quantities of ingredients because the glaze sounded so good that I wanted to save some for another use. 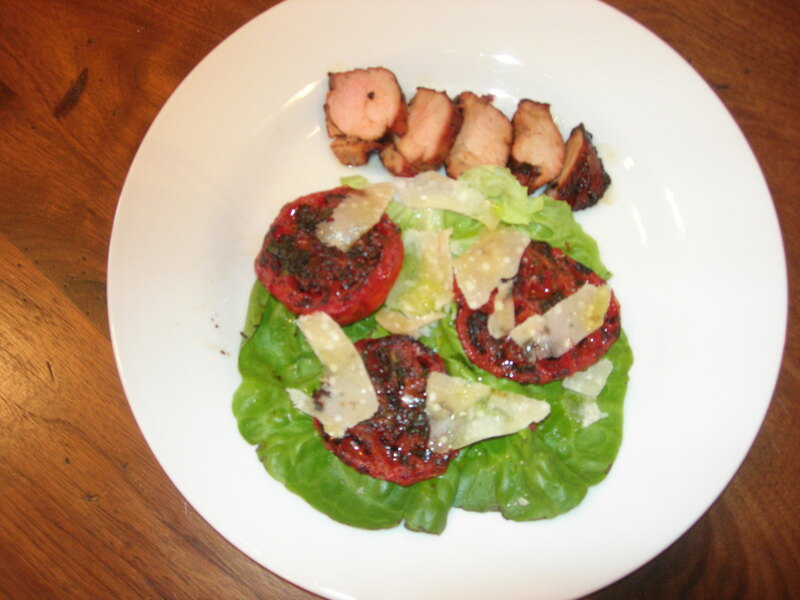 But I didn’t have sherry vinegar, so I subbed in a really good zinfandel vinegar (how far wrong could that go?). 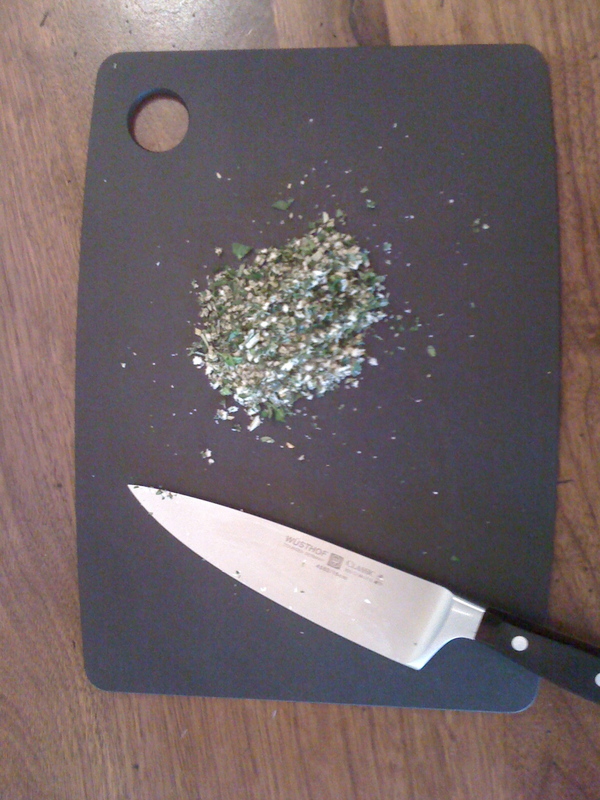 I measured out my fennel and coriander seeds onto a cutting board, covered them with a paper towel, and thwacked them with a mallet. (Some mistakes you make only once–if you hit an unconstrained mound of coriander seeds with a mallet, it explodes like a fireworks flower all over your kitchen.) Getting back to making this glaze, I wish that I had clobbered the fennel seeds first, then the coriander; the spheres of coriander cracked but not so much of the fennel. Also, what is “Aleppo chili?” I couldn’t find it at my neighborhood store. But Wikipedia says it is a mild chili like an Ancho. Bonanza!–I have ground ancho chili right there on the shelf. 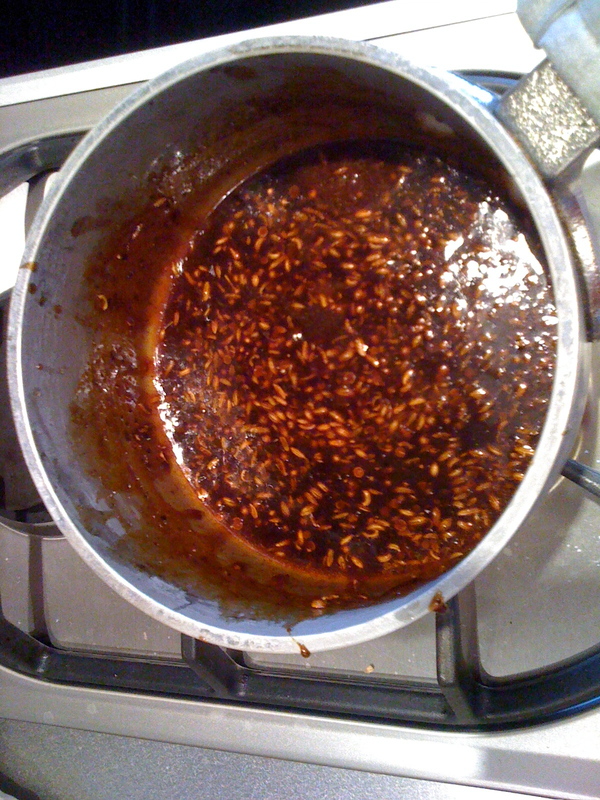 Then, “reduce by half”–I didn’t actually notice the starting level of the liquid in the pan. Oh never mind, it’s supposed to be a glaze, I cooked it until it became a shiny syrup. And the narrative: “Combine coriander, chili, salt, lemon and parsley in a small bowl and set aside.” I halved the amounts, and toasted and cracked the coriander seeds. 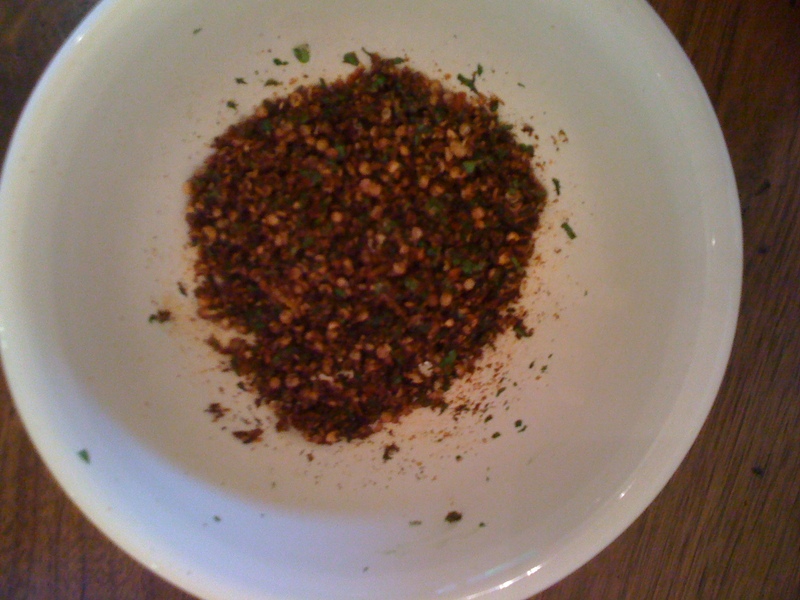 (The sprinkle is supposed to add crunch, right?–So why would I use ground coriander?) I minced the lemon zest; it probably would have been better if I’d left it coarser. Next time! Well, I have a gas grill, but we get the idea. I think “chops” is a typo? 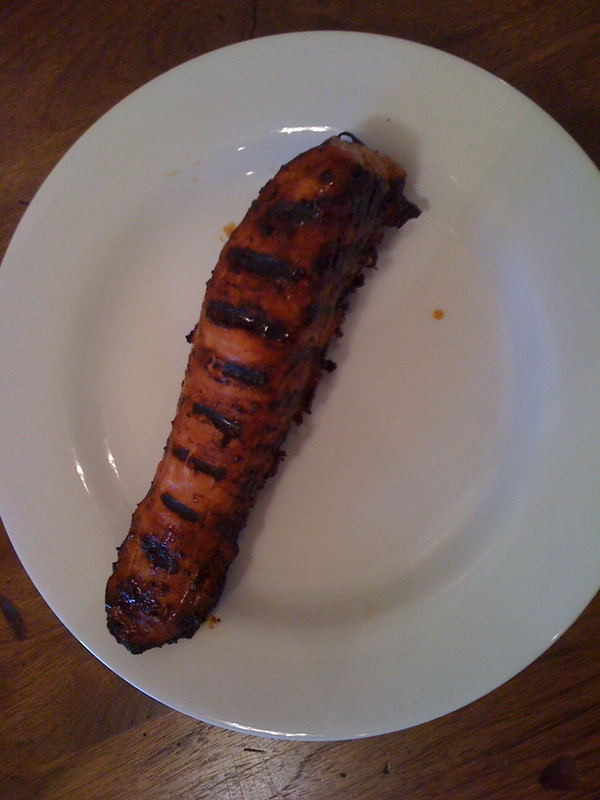 (I love it when the New York Times has a typo; this morning I had to stare for a moment at a description of a misbehaving male as a “rouge.”) At any rate, my riblets cooked to a lovely mahogany and smelled fabulous. Worth the effort?–Absolutely! Mark, we love you!